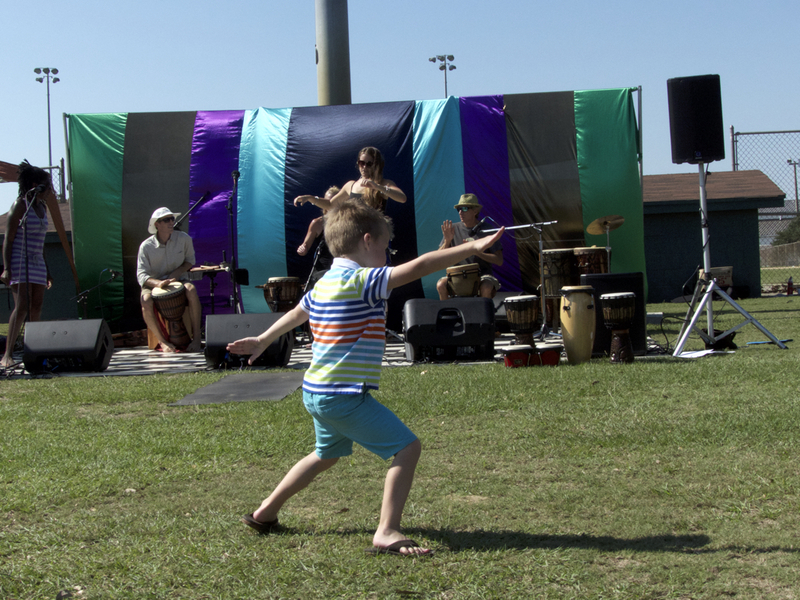 Learning to dance at Artrageous 2016. This past weekend on the Outer Banks was a perfect example of why autumn is the time to come to the Outer Banks. Saturday was filled with lots of events, all of them family friendly. Our Joe Lamb Jr., & Associates. minions tried to get to everything, but we’re sure we missed something along the way. Kids and creativity is what Artrageous is all about. If there is a better event for kids anywhere than the Dare County Arts Council’s Artrageous it would be hard to imagine. The event is all about kids and creativity. 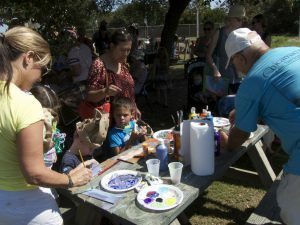 Held every year at Rec Park in Kill Devil Hills, kids can try their hand at blacksmithing, get their face painted or create a mural on the side of a building. Families, definitely put this on in your autumn calendars for next year. Beautiful setting and perfect autumn weather made Crabdaddy 2016 one to remember. Perfect setting, perfect weather, lots of crab and good wine. Throw in some great music and it just doesn’t get much better. 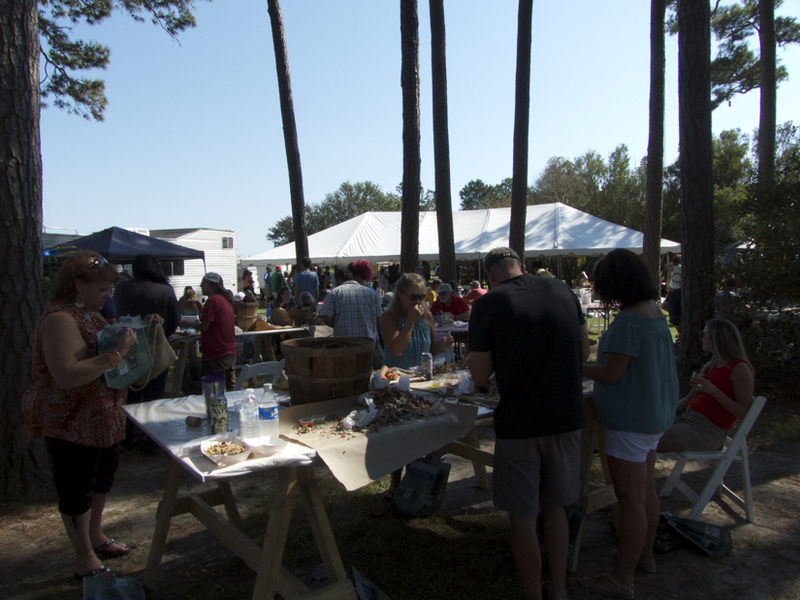 Held at the Cotton Gin the last Saturday of September every year, Crabdaddy is part celebration of the autumn grape harvest and a wonderful celebration of the bounty of local waters—in this case blue crab. Sanctuary Vineyards is owned by the Wright Family, the same family that owns the Cotton Gin so the setting makes sense. The wines have shown steady improvement over the years and they are very good now. Soggy Mountain Boys headlined Saturday night at the Outer Banks Bluegrass Festival. The outdoor stage at Roanoke Island Festival Park is spectacular the bands were among the best in Bluegrass. By the time things wrapped up on Saturday evening there was no doubt that the 2016 Outer Banks Bluegrass Festival was something special. It helped that the Soggy Mountain Boys were the final act. 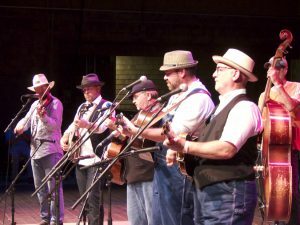 Putting a very traditional spin on what bluegrass is all about, some of their sounds would have fit right in 75 or 80 years ago. Next big weekend is Columbus Day–Mustang Music Festival on Friday and Saturday and the Duck Jazz Festival on Sunday.